The creeping acceptance of racist arguments and language into our political conversation has to be challenged in new ways. In the aftermath of the terrible murder of Jo Cox, part of the media seems to have woken up to the fact that racism remains strong in our society and that the culture it sustains can have dramatic consequences. When discourse is turned into action, violence usually springs from the most extreme fringes of the far right, as was the case in Birstall. However, while scrutinising and combatting these groups is essential, it is no longer enough as racism has seeped back into the mainstream after a long process of sanitisation. I began to research the mainstreaming of far right discourse in 2007 as I witnessed the ways in which anti-immigration, anti-refugee and anti-Islam rhetoric became commonplace in political campaigning, and denouncing them as racist was increasingly seen as extremist. Ever since, this trend has continued and, while distraught, I was not surprised when I heard the news on Thursday. As the saying goes, you reap what you sow, and the responsibility for the tragedy goes far beyond the act of an individual. While there have been a few promising signs from the media and politicians in the aftermath of Thursday’s tragedy, there is a real risk that this debate will quickly move away from a real discussion about systemic abuses of democracy and equality and the mainstreaming of racism. Already, one side of the debate has worked tirelessly to downplay the politically motivated nature of the murder. Instead, the right-wing press in particular has focused on Thomas Mair’s mental health issues, adding further stigma to an already suffering and excluded community. On the other side, focus has already begun to shift to the far right, forgetting that these parties and organisations’ reach and impact has been greatly facilitated by the climate fostered by mainstream media and politicians, as well as some academics, all looking for cheap wins and sensational material. While the tabloid press and right-wing politicians have unashamedly surfed the racist wave (anti-immigration, anti-Islam, anti-refugees etc. ), the mainstream left has also played a part in legitimising a discourse based on the threat of the ‘Other’. And when an apparent consensus about the fear of the ‘Other’ takes hold of public discourse, is it really surprising that some will feel justified in expressing their racism in the vilest manner? In recent years, countless articles, reports and books have been published to convince us that immigration is the main concern for British people. Some have rejoiced in the fact we were finally breaking a taboo, and that we could at last talk about immigration – as if this is something that had not been constantly hyped in the British media to serve the interest of the few. On the left, many have lamented that, unfortunately, this is an issue that needs to be tackled, as after all, it is what the ‘People’ want: Politicians must listen to ‘the angry, frustrated voice of the British public’. But what exactly is the 'voice of the British public'? Is there really such a thing as a unified British political character? If so, is it represented by David Cameron? By Jeremy Corbyn? By a minority of those who vote in general elections? Is it those we hear or see in the news? Is it the few dozen angry racists who take part in EDL demonstrations? Nigel Farage loves to claim he provides a ‘voice for England’, but can he, when his party receives the vote of only one out of ten registered voters in extremely favourable circumstances? We are told that this mythical public voice is to be found in the countless surveys conducted on a daily basis. Pollsters tell us that they are taking the pulse of the nation, that they are helping us decipher what the people think, that they are helping us to understand democratic drivers. Yet this is problematic, and potentially dangerous for democracy. Surveys have been shown for decades to be incredibly difficult to conduct, analyse and report on. Samples were difficult to get back when everyone had landlines, and it has become a real nightmare in an age when most of us are no longer physically connected to our dwellings. Internet surveys were for a while touted as the solution, but soon raised their own issues with regard to sampling – who after all would answer an online survey about politics, unless they are interested in politics in the first place, thus skewing the process? Proper sampling takes an awful lot of time and money, two things polling companies do not have when their aim is to constantly feed the news cycle. Even if we ignore the issue of sampling, polling remains extremely problematic. The selection of questions and their wording is not unbiased. Respondents may never have considered the issues they are asked to give an opinion on, thus making the process shaky at best, pointless and inaccurate in most cases. Similarly, it has been shown that people are unlikely not to answer in surveys, even if they have no opinion on a matter or simply don’t know the answer. This is striking when looking at the tiny number of ‘don’t knows’ on difficult questions – people who agree to be surveyed are unlikely to admit they don’t know, as they are either eager to give an opinion, or to please the interviewer, to live up to expectations. Therefore, if an opinion is forced or skewed, is it valuable and representative? More importantly, should it drive our news and political agenda? Beyond issues of methodology, surveys are also problematic in the use that is made of the results. The role their interpretation plays in the democratic debate is not a passive one, limited to the retelling of public opinion and the simple stating of the results unadulterated by editorial bias. Their agenda-setting quality is extremely potent: today, surveys are often used in the media to claim that immigration is the main concern of the population, which in turn justifies the disproportionate coverage of anti-immigration politicians. This is the case even though surveys are contradictory when it comes to people’s ‘real’ concerns, as exemplified in the table below. Figures from the same survey conducted by the respected Eurobarometer can tell us two very different stories. Table 1: Question: What do you think are the two most important issues facing (YOUR COUNTRY) at the moment? (Top 5 EU answers with immigration and terrorism). (Source: Eurobarometer, Spring 2015. Source: Eurobarometer, Spring 2015). Table 2: Question: And personally, what are the two most important issues you are facing at the moment? (Top 5 European answers with immigration and terrorism). (Source: Eurobarometer, Spring 2015). But what is perhaps most striking here is that respondents felt immigration to be an issue when asked about their countries, but not about their own daily lives and struggles. People know their daily lives, they experience them first-hand and their concerns are practical: cost of living; health; social security etc. Their neighbour is not perceived as an immigrant, but as someone who takes the bus, is employed or unemployed, goes to university and struggles in exactly the same way. However, when asked about their country, it is much harder to know first-hand what the concerns are, and the appreciation of such concerns becomes necessarily mediated. Few, if any, have the opportunity to spend hours reading reports and weighing counterarguments about politics. It is therefore not surprising that people go to whatever is easily on offer for their understanding of the bigger picture: the news media. Of course, this is not to say that we are powerless and that we blindly accept what the media tells us: while the media may not tell you what to think, it will tell you what to think about (as per agenda-setting theory). If this is correct, then the media and the support they find in surveys are not simply reporting what the people think, but actively shaping it in their selection of the information they choose to survey and the way they select and disseminate the results. Therefore, as has been argued for a long time now, public opinion does not exist, but the creation and use of so-called public opinion has a real impact on politics and on setting the agenda. First, it has legitimised racist discourse in the name of democracy: as the story goes, if politicians and the media talk about immigration it is because what is what ‘the People’ want. This has allowed so-called populist politicians to portray themselves as the voice of the people, the voice of the downtrodden, the voice of the silent majority (even though they only manage to gather a minority of the registered vote – less than 10% for UKIP at best). As immigration has been made up into a popular demand, mainstream politicians have opportunistically tapped into this minoritarian sentiment and based campaigns on this issue, away from other major concerns for the population, which would have required systemic change. This has not been limited to the right, with Labour trying to outdo both UKIP and the Conservatives in 2015, promising as one of their five pledges: ‘Controls on immigration’. Labour has thus been hard at work trying to (re)claim UKIP voters, while ignoring the other numerous categories of its disenchanted voters or traditional sections of the population who have found refuge in abstention. Not only is UKIP attracting, primarily, disaffected former Labour voters from the Conservatives and elsewhere, but the working class basis of UKIP has been markedly over-stated. Working class voters are a little more likely to support UKIP than other classes, but there is stronger support among the self-employed and business owners, who were Mrs Thatcher’s hard-core supporters, not Labour’s. Even within the working class, the strongest UKIPers are the lower supervisory category, who are not the disadvantaged semi- and unskilled workers that have been thought to provide the core of UKIP support. Even some of the left have argued that indeed immigration has become the main concern for the working class, playing right into the hands of the most reactionary forces in society. This not only negates the diversity within the working class, but also deflects responsibility away from government and capital, placing it instead on the weakest and most vulnerable in the labour market, dividing and conquering. I was recently told by a colleague with whom I had discussed these misperceptions that, for politicians, misperceptions within the electorate must be taken as a reality; they are something politicians must accept and pander to if they are to get elected. This is why, I was told, if Labour was to win an election, they must tackle the immigration issue head on. 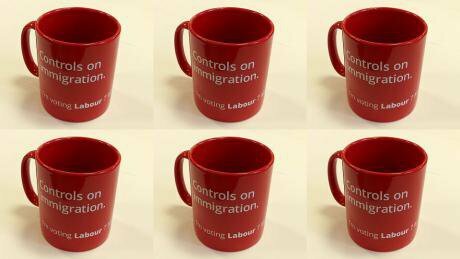 As I have strived to elucidate in my research, this approach seems doomed to fail – David Cameron’s referendum promise or the Labour party’s immigration mugs being cases in point – and yet it is increasingly prevalent in elite circles. This conversation confirmed also that it was urgent for the anti-racist movement to evolve and reclaim a central role in public discourse. While it remains as essential as ever to combat the traditional far right wherever it is, the anti-racist movement must also adapt to new realities and find new tools to uncover and denounce any type of opportunistic mainstream racism. To do so will require time and dedication, but also a complete overhaul. The far right has managed through a long and tedious process to refine its strategy to push its exclusionary agenda, making it palatable for the mainstream and appealing to career politicians lacking the courage to enact or even consider systemic change. It has been a boon for some of the media, which has unleashed waves of scapegoating, and self-righteously denounced the workers as the source of all racist evil in our society, ignoring their tacit endorsement of the situation. Before we can envisage ‘anti-racist futures’, the anti-racist camp must acknowledge this shift and develop new strategies to counter it. We must hold to account all of those who have benefitted from such an ideological shift: racist discourse is no longer limited to the margins, it is mainstream and this needs to be widely acknowledged before it can be stopped.